Kahkashan-e-Sharq Institute of Higher Education (KSU) was established in 2012. KSU’s vision is to be one of the most professional universities in Afghanistan renowned for the excellence impact and distinctiveness of its progressive management teaching and learning. KSU’s mission is to educate much needed specialists professional cadres and aspiring grassroots leaders who change our country for the better through generation and application of ideas and knowledge. The University is dedicated to attracting and sustaining a cadre of faculty who are through their teaching research and service devoted to the development of distinguished knowledgeable and committed graduates. موسسه تحصیلات عالی طبی چراغ ، یک نهاد تحصیلی خصوصی طبی در کابل می باشد که از سال 1387 فعالیت های خویش را در بخش ارایه تحصیلات عالی طبی برای جوانان در فاکولته های طب معالجوی، ستوماتولوژی و فارمسی به پیش می برد. در بخش عرضه خدمات صحی، این موسسه دارای شفاخانه مجهز بوده و به طور 24 ساعت در خدمت مردم قرار دارد. 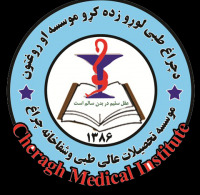 این موسسه برای بهبود امورات مالی و محاسبه، به یک نفر مدیر محاسبه ضرورت دارد که تحت..
Cheragh Medical Educational Institute is delighted that situation for enhancing of knowledge and education have been paved in the country after three debilitating decades of politics and system; and youth can prolong effective professional periods that will enhance capacities that is starting point of development.Supporting private sector is the key of development and success in modern and active countries in the politics economics and social fields as Afghanistan current system conduct similar direction similar hopes are certainly arisen in our minds.In fact supporting of private sectors system converts nation from passive state into active and researching state and give them new..
About Khana-e-Noor Educational Network (KEN):Khana-e-Noor opened its campus doors over a decade ago after private sectors being granted with permission and license of working in educational sections to accommodate the expanding interest in educating children among parents in Kabul. And over the years interest in the KEN model of education has grown steadily resulting in campuses being established in both the Kabul and Balkh provinces of Afghanistan. Today we have more than 6 000 students from around the country attending KEN schools Afghanistan. 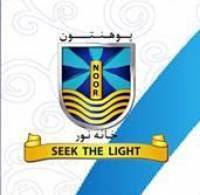 And with a staff gathered from over 25 provinces around Afghanistan we are the only leading Educational Network of schools and universities.. Position: M&E Team Leader \r\nVacancy #: AWW/MD/M&ET/010 \r\nAbout Accord Worldwide\r\nAccord Worldwide is an international development and training firm. We provide services with a passion to bring about change in the grass root level. We come from various cultural and geographical backgrounds to make a diverse team connected by a shared vision and mission.\r\nAt Accord Worldwide our core value is to reach out and bring forth an understanding with development and empowerment of the individual within the community level within corporate teams government entities and public/private establishments. We believe that in developing the individual with the right skills he/she is able to..